Water Board Director Mike Taylor who has been accused of stacking West Valley Water with all of his dirty friends from Baldwin Park. Since the last election where Clifford Young gained near full control of all board members there has been a push to get rid of people who refuse to get in line with an out of control and abusive Board of Directors. Prior to hiring the political friends of Board Member Mike Taylor Board Member Clifford Young hired his own friends from Cal State San Bernardino. So when we found out that more Baldwin Park Council Members & Former Cal State San Bernardino employees. A Press Release that Board Member Greg Young posted under the guise of “transparency” is full of admissions of continued favoritism and abuse of normal hiring practices. West Valley Water may have taken applications for these positions but sources close to the main office know what it takes to get a job at West Valley and it isn’t fair and open to everyone. The path to obtaining a job is a long list of who you know, can you do as your told without question and do I owe you a favor. What people should know is that in its self is not enough to keep you employed you must go along with the will of Clifford Young no matter what. Richard Pacheco was named Assistant Manager for West Valley Water the same person you see referenced above supporting Police Cheif/West Valley Water Board Member Mike Taylor’s never before seen no fire contract. This isn’t the 1st person Mike Taylor has brought from Baldwin Park he also brought Baldwin Park City Attorney Robert Tafoya who wrote Mike Taylor’s bullet proof employment contract with the city of Baldwin Park. Clifford Young has Mike Taylor run – Mike Taylor wins and gives Clifford access to his vote. Robert Tafoya writes Mike Taylor a bullet proof contract – Mike Taylor walks Robert Tafoya into West Valley Water. Looks like the path to employment at West Valley Water is like entering a crime family. It is less about what you can do for the Water District and more about what you can do for the Board of Directors. 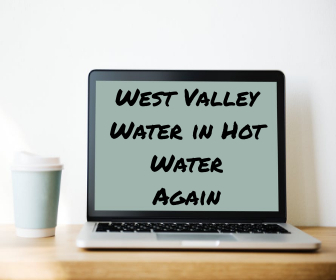 West Valley Water District (WVWD), after a thorough public search that resulted in 25 applicants and multiple interviews, is pleased to announce the appointments of an Assistant General Manager and Chief Financial Officer, who were approved by the Board of Directors on March 29. 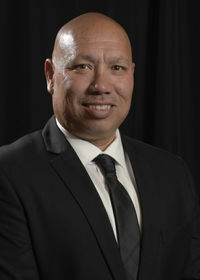 Ricardo Pacheco, who works as a project manager for Caltrans and ITT Corp., was named WVWD’s Assistant General Manager. He will oversee external affairs and begins work at the District in the first week of April. Pacheco holds an engineering degree from California State University, Los Angeles. He has worked as Director of Public Works for the city of South Gate, Calif., an associate engineer for Metropolitan Water District of Southern California, and a project manager for the Los Angeles Department of Water and Power. Pacheco is in his fifth term as a councilman in Baldwin Park, where he has been instrumental in drawing redevelopment to the city. Naisha Davis was appointed as the District’s Chief Financial Officer. She is a Certified Public Accountant, holds a Master’s degree in Business Administration from California State University, San Bernardino, and is a graduate of Eisenhower High School in Rialto. For the last nine years, Davis has served as the accounting manager for Lifestream Blood Bank, where she oversaw an $80 million budget and all financial operations, including annual budget preparation, forecasting and cost control. She previously worked as the accounting and human resources manager at Caseworx Inc. in Redlands, Calif. The appointees were selected from field of applicants after the job openings were posted and advertised. The successful candidates were interviewed and vetted by a Board committee to ensure their competence and ability to support WVWD’s mission and values. So what happens when a local governing body is so fractured that no more than two people can agree with each other? Another governing body has to do your work for you. There are few governing, publicly elected bodies like West Valley Water District that cover Rialto, Colton, Fontana, Bloomington and other unincorporated areas of San Bernardino County, and a portion of Jurupa Valley in Riverside County. West Valley Water fly’s under the radar of rate payers because until recently who cared about your water board right? 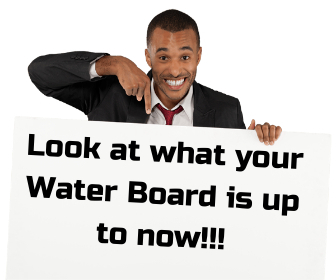 Until the hyper controlling measures that state and local water agencies laid out on ratepayers nobody really took the time to watch what their water board is doing. West Valley Water Board members Clifford Young, Linda Gonzles and Greg Young worked hard over the last two years to kick certain board members off the board, bring in new blood that wont question bad spending habits and fight to keep certain people from ever sitting on the board EVER…..
Well with twice appointed never elected board member Rafael Trujillo moving over to Rialto City Council there is once again a vacant seat. Normally the board has a politically charged person waiting in the wings but partisan politics coupled with a lack of ability to collectively agree on a person now has taken this choice out of their hands. The names that were floated around being considered were former Rilato Councilman Ed Palmer, Former Fontana Planning Commissioner Phil Cothran and Activist Irma Flores were just a few of the names that were talked about. The community was ready to charge the doors of West Valley Water district if Phil Cothran was appointed to the water board. He is coming off a fresh election where he has been accused of trying to takeover the Fontana Woman’s Club, stories of failing to report campaign donations that Phil Cothran took from Young Homes prior to voting yes on their projects and running a local PAC that derailed some very good peoples chances of winning an elected seat. Apparently Ed Palmer who was supported by Clifford Young was not what Greg Young was looking for in a fellow board member. Greg Young didn’t want Ed Palmer’s drama from the recent election where he challenged current Mayor Deborah Robertson for her Mayor seat. So since West Valley Water is punting this decision it is now up to the San Bernardino County Supervisors to make the appointment. The Board of Supervisors created a special advisory committee consisting of Second District Supervisor Janice Rutherford and Fifth District Supervisor Josie Gonzales to interview the applicants and recommend an appointment to the full Board of Supervisors. What is funny is that West Valley may have a Board member that they fought long and hard against two years ago wasting thousands of dollars and wasting rate payer time advocating for their choice in the election. Make sure you notice that Mr Trump or his security detail never shut down any recording or request for a photo. We have slammed Democrats for this very thing after shutting down our camera we stated that nowhere was there a posting that recording wasn’t allowed Ben Lopez barked its in our bylaws. Well as a guest reporter we found it difficult to know the rules of a group we just found tonight. 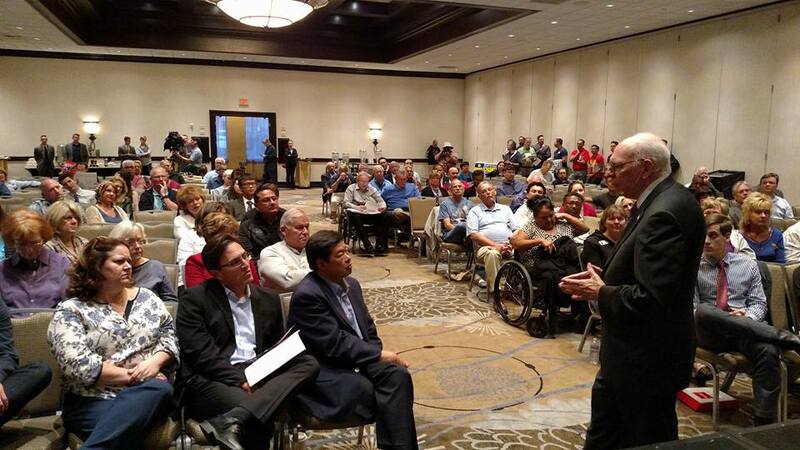 What is funny is someone sent us a photo that was taken from the stage while we were recording, a news camera right over our shoulder and others on cell phones for nearly a half hour while Rafael Cruz addressed the same meeting. 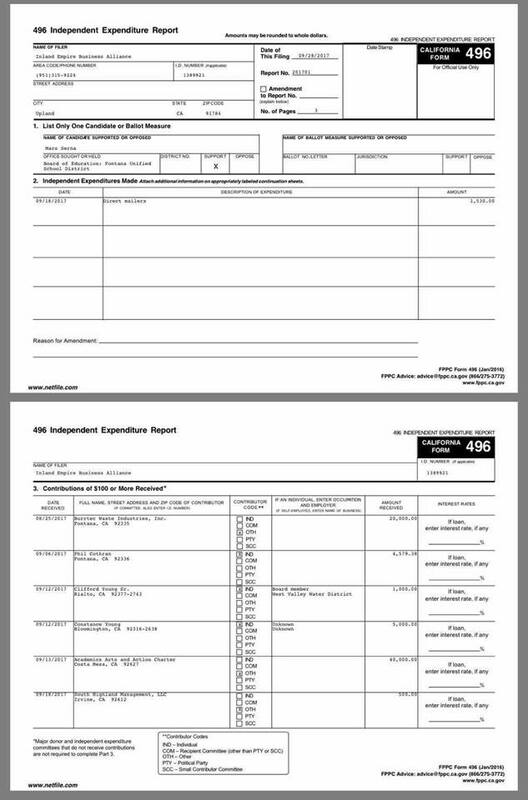 The Republican Party of San Bernardino County is a year-round campaign organization, charged with electing Republicans to every office throughout San Bernardino county. We maintain a permanent headquarters, and execute programs designed to register more Republicans, recruit volunteers, train candidates, endorse Republicans for local office, and turn out the Republican vote come election time. How can you get Republicans elected in a heavy Democrat environment without showing off why the Republican choice is better?